A little weekend style inspiration for you! I love wearing a casual outfit like this, but dressing it up a tiny bit with a structured bag, some fun earrings, and a subtle lipstick. 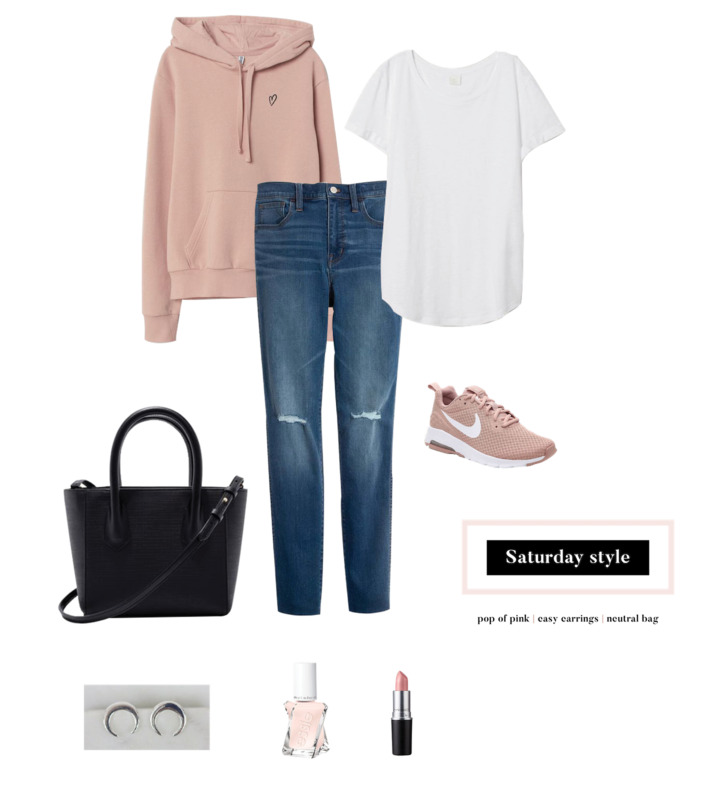 If you find yourself wanting to wear an athleisure/casual look like this but struggling with which shoes to pair with it, I recommend trying to match (or closely coordinate) your shoes to one of the pieces that you’re wearing. 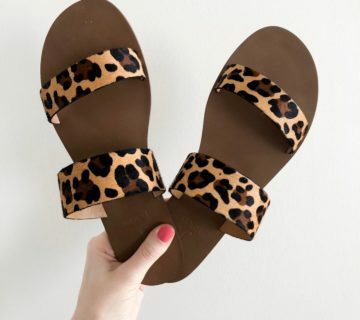 It pulls the whole outfit together and can make the shoes look like they belong, even if you wouldn’t normally wear sneakers with jeans, for example. 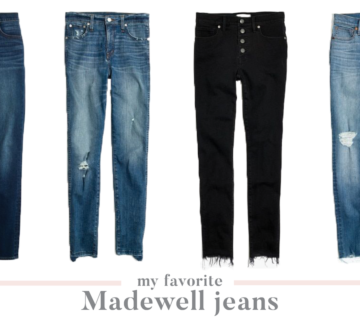 Where I struggle with jeans and sneakers is specifically skinny jeans and sneakers. They either bunch up a bunch at the ankles, or my feet look absurdly huge, despite being only 7.5. Aside from just wearing a wider leg (which I do when I want to wear sneakers), how can I pull this style off? Or are my giant feet just in my head and I need to build a bridge and get over it? Two part answer: 1. 7.5 are NOT giant feet, so go ahead and build that bridge 😉 2. You should try cuffing your skinny jeans so that there’s a bit of space (maybe an inch or so) between the bottom of your jeans and the top of your sneakers. The skinny jeans that I have and will wear with sneakers are ankle-length, but I would cuff/roll them if they were a bit too long. This is so nostalgic for me! This was totally my style in high school a million years ago. Love. Hi Lauren, what size do you have in the h&m sweatshirt? I don’t have this sweatshirt, in particular (this is just an inspiration post). But have owned H&M sweatshirts in the past and usually get a S/4.